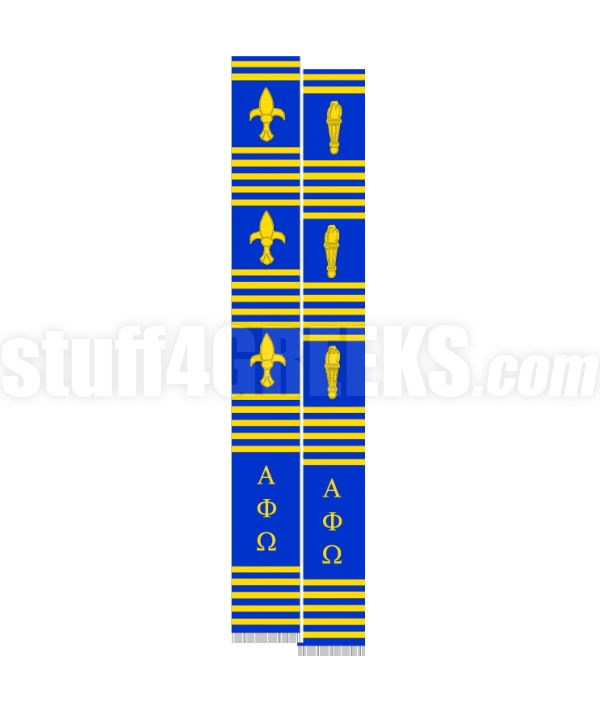 Royal blue Alpha Phi Omega Kente cloth graduation stole with the Greek letters and torch down the front. Q: Its this item already in stock? A: This item is made to order, so it is not in-stock. However, we can accommodate quick turnaround times. Just let us know by selecting a rush production option and put your desired in-hand date in the "Special Instructions" portion of the product order form.